She was accompanied by her GBF. 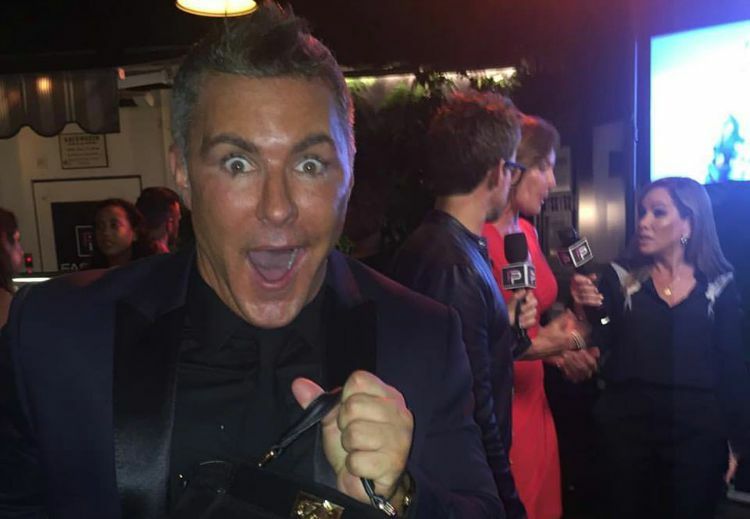 Fashion Police Supervising Producer Tony Tripoli posted a photo to Instagram of himself holding Melissa Rivers' purse while she and cohost Brad Goreski work in the background. According to Tripoli, the purse contained the ashes of Rivers' late mother. Leave it to Joan to still wear designer labels and hang out with stylish gay men, post mortem. I held Joan (well, her ashes in Mel's purse) while Mel and Brad worked the party tonight. I miss you, girl.